Translator Note: I am surprised myself too when translating this chapter as this particular chapter is a lot shorter than the usual chapters. Hope you guys enjoy this chapter! “No problem!” Ke Te nodded his head. Everyone was full of respect and admiration for Ya Se who was capable of achieving even the impossible. Not long after, Ai Wei Er came along with Yao Yao, with everyone having already seemingly know one another. “Now that everyone is here, let’s order the dishes. 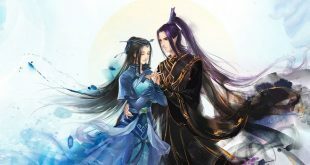 Today will be my treat!” Lan Di announced happily. “Ya Se, after you have finish eating, let Senior Sister bring you around to check out a few documents. She is the most outstanding in our school in terms of distinguishing medicinal herbs.” Ai Wei Er mentioned. The leopard tribe beauty gave a slight smile as she nodded her head, behaving like a very refined and reserved figure. The group of people started digging in heartily. There was no disagreement between the girls who ate elegantly and the guys who wolfed down the food ferociously as the violent nature was one of the traits of the male beastmens. In the afternoon, Zou Liang followed the beautiful feline to the pharmaceutical courtyard as she brought him into a room that was filled with so many documents that it stacked up to form a mini mountain. Many of these documents couldn’t be found even in the library. Yao Yao left without uttering a single word, leaving Zou Liang behind to stare at the mountainous stash of documents as he began to start work seriously. This hardworking nature of his was not because he wanted to help others, but because he wanted to live a longer life. She shook her head as she entered in deep thoughts. This guy did not seem to match what the rumours say. According to the rumours, this guy was said to have a violent and arrogant character, especially after he obtained the backing of the head priest. After beating up Lan Duo Fu (The guy who tried to harass Ai Wei Er and got beaten up by Zou Liang in earlier chapters) once, he was not satisfied and continued to beat him every time he saw him. Even though she never had any good impressions of Lan Duo Fu, someone as bossy as Zou Liang didn’t seem any better either. There was this saying that evil people will always end up suffering the wrath of another person of greater evil. However, upon meeting Zou Liang, she was surprised to find him having such a good temper. Perhaps he was just hiding his true nature. On one hand, Yao Yao wanted to test out his character. On the other hand, she wanted him to realise earlier the difficulties behind studying medicine and for him to just quit earlier. After all, being a pharmacist isn’t child’s play since prescribing the wrong antidotes and wrong dosage can take away people’s lives. After an entire day had passed and the sky has turned grey, Zou Liang finally crawled out of the pile of documents with his mind filled with different types of herbs. Even though he was blessed with better memory skills when compared to an average person since his university days, it seemed that he will require a few more days before memorizing everything. Nonetheless, this was what he desired. By recognising the various important herbs, he will be able to have an easier time surviving in the wild. Since these were knowledge that he would use in the future, he was able to pick it up fast. Once he returned to the temple, he immediately called over Ma Lu and started preparing to design. Ma Lu guarded the entrance of the door wholeheartedly as he believed that every time Ya Se went into seclusion to design, he was bestowed with enlightenment through dreams of the Beast God. For him to be able to be personally at Ya Se’s side when a grand design is given birth to is a great honour. He would not have expected in the past that he would be able to experience such a great incident especially when he was already of such an old age. As he waited, he started to pray fervently for Ya Se as he chanted the war song in his mind. In the room, Zou Liang spread open the paper as he closed his eyes and recalled his memories. During spring break, everyone had to participate in a contest for designing a crossbow where they have to do all the preparations and planning themselves. Even though this was just for fun, the destructive ability of the crossbow is not a joke since its destructive power is a lot stronger than that of a bow. One example was the incident where a European knight back in the mid centuries was assassinated by a mere farmer who practiced the crossbow. As the killing ability of the crossbow is too shocking, many organisations banned the usage of it. Even in the 21st century, shadows of crossbow could be seen lurking every now and then, making the situation very scary. The complexity of the design of the crossbow far surpasses that of Zou Liang’s previous creations. Hence, merely using the soul engraving knife is no longer sufficient to sculpt out the fine details of the crossbow. As this type of weapons were most suitable for girls to use, Zou Liang wanted to do his utmost effort for his precious friend. Ultimately, as for the extent of the ability of the weapon, it will still be up to Ai Wei Er’s beast spirit structure. This was a challenging task as the designs of the crossbows were not many, making it hard to make references to. Also, selecting the most suitable materials will prove to be an arduous task since the slightest difference can lead to a great difference in its combat abilities. Zou Liang did not hesitate in placing 10 crystal balls around his house as he lit a candle on top of every one of it, making the entire house very bright. He found it a “waste” if he did not make proper use of the temple’s resources. After all, since he was a very reputable figure, he could naturally live an extravagant lifestyle. After who knows how long, Zou Liang stretched his waist as he went to open the door. He was surprised to find Ma Lu still waiting at the entrance, seemingly not showing any signs of wariness. “With Priest Ya Se working laboriously on behalf of the Beast God, how could I afford to sleep? Being able to contribute even the slightest would be a honourable task for me.” Ma Lu spoke sincerely. He could not be thrifty on the materials as he need to conduct proper experiments for his soul engraving to be optimal. Zou Liang was a bit shocked when he heard this. A place as big as this temple could not even provide the most basic material? The temple is really in a pitiable state. However, he was confident that with him around, he would be able to lead the temple to greater heights and place the dark periods of failure behind!